Work from home selling extremely marketable products so you can have MORE TIME with family and FINANCIAL FREEDOM! As a busy mom of 3 children, I know how expensive it is to raise them. I've always wanted to be a stay at home mom or at least only work part-time, because let's face it... Children whose parents are PRESENT in their life tend to have less behavior problems. I could see the difference in my own kids on a day that I was away all day at work. The crying when I drop them off and excitement when I pick them off is enough to motivate me for a different life...A better Life. 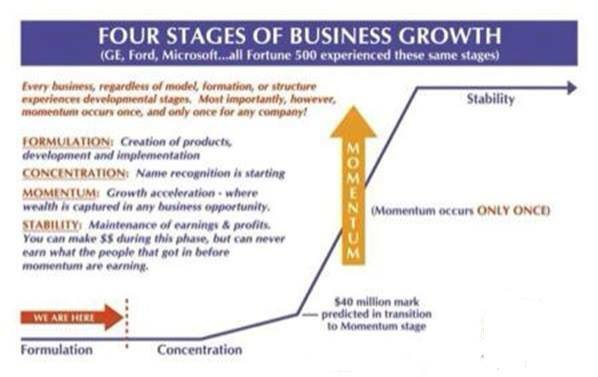 When you are considering a business opportunity, there are 4 stages of business growth. The company I have become an independent consultant for is getting close to a phase of momentum that will allow ANYONE the ability to achieve financial freedom! To be honest, I am NOT a sales person! In fact I HATE SELLING!! My parents had a sales business for promotional products while I was growing up and I swore I would never go into sales. It was hard for me to even sell candy bars for school fundraisers. However, with these products I know I am helping people in so many ways and I love them so much personally it feels more like sharing! Sharing about how much I love the products and sharing about an opportunity for life changing residual income. My favorite story is that of my fellow consultant Wendi. Wendi started this business with $37 in her bank account and 7 mouths to feed, three of which she inadvertently adopted (long story). With 5 kids, she didn't have much time and she didn't have any money. Her sister tried to get her to join as a consultant for months before she finally considered it. One night, she looked at her bank account and thought of the story of the drowning man begging for God to help him. A boat and a helicopter came, but he turned them away saying God would help him. After he died and went to heaven he asked God, "Why didn't you help me?" God said, "I sent you a boat and helicopter!" After realizing this was her boat or her helicopter, she called her sister and joined right away!! 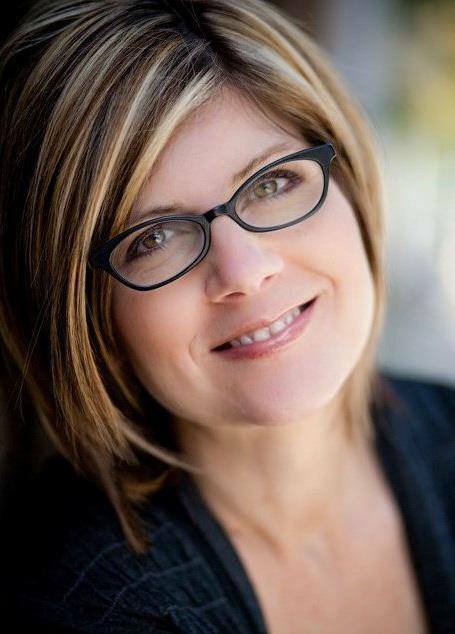 Now, Wendi was recently declared a million dollar earner in just 26 months! Currently there are only approximately 75,000 consultants currently that work from home selling these specific products as of 2015 and it's the fastest growing organization within its industry! Since 2008 sales have risen from 3 Million to close to 330 Million. The time is NOW to get in before the momentum phase! I can't tell you how much this has been a blessing to so many people. It's truly a gift from God answering so many prayers! At some point this company will be a household name and I'm so glad I got in now, so I could be the one to share it with others first! Why work from home selling this specific product? Credible and well known owners to the industry with a track record for a successful business! They've already created another well known multibillion dollar company! No required parties! You can actually work from home selling! More FREE PRESS than all other top 10 direct selling companies COMBINED! The news just can't get enough of these outstanding products!! Recently featured on the Today Show, The Doctors, and in Allure, as well as many other magazines!! Or even just the ability to have extra money to go on an amazing family vacation each year! I'm looking to interview a select number of motivated individuals that want to work from home selling these incredible products! Contact me with the form below, so I can see if you would be a good fit for this once in a lifetime opportunity! I am interested in making extra income!